The man of a vision and a constructor of beautiful realities, Y. Rajeev Reddy is certainly the pole star in the constellation of real estate developers of India. Rooted to the soil of values and grown into the branches of unmatched perfection, Y. Rajeev Reddy’s journey to the zenith of success is an exemplary one. He started from scratch and traversed his way to the pinnacle. He not only created splendid properties, but tremendous experiences as well on this path. His pristine determination has transformed his brand into a name that reflects the qualities of confidence, creativity and capability. Y. Rajeev Reddy was just 21 years old when he ventured into the realm of real estate development with a heart full of desire to rule the industry. The young commerce graduate was not looking for a career but for a life in the profession – a life which he wanted to utilize for earning and spreading happiness all around. Passionate about his dreams, he built his triumph castle block-by-block, sealing each brick with the cement of hard work and innovation. His first company Amrutha Estates, which was named after his mother, started operating in the year 1981 with a project called Ashiana, a residential complex consisting of 20 deluxe flats, in the capital city of Andhra Pradesh. The project made his name an instant hit in the market and a number of successful projects flowed towards him. Though the man – since his initial days – was involved in the creation of residential properties, he found his treasure chest hidden in the lanes of leisure industry. Starting from one club in Hyderabad, his creations in the sector sprang up to four verticals namely clubbing, holidays, hospitality, and events. Today, he has ownership of over 50 properties, 25 fitness centers, and more than 3,000 global affiliations. 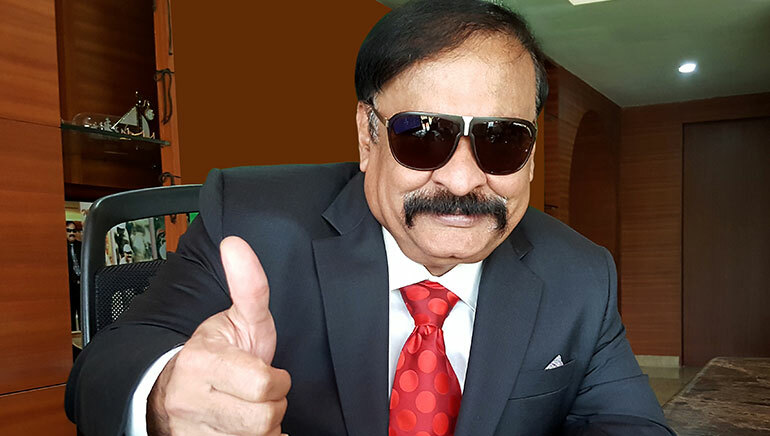 The corridors of Country Clubs have hosted a number of national and international celebrities, and the brand echoes the story of Y. Rajeev Reddy’s conviction and hard work. The dynamic entrepreneur believes that the secret to his success remains in the fact that he is still young at heart, and he uses this youthful energy to learn new things. He believes that it is never too late to mark a new beginning, and hence is ever eager to scrutinize, understand, and adapt himself to the ever-changing dynamics of the industry. Y. Rajeev Reddy reckons that the world has been through a massive technological transformation since the day he started, and whilst many people leave it for the second generation to match pace with technology, he himself has embraced the trend open-heartedly. He is a tech-savvy person, who connects with his staff through video conferences, and is very active on all the social media platforms as well. And if one may wonder what keeps Y. Rajeev Reddy young and thriving – it is his love for fitness and sports. His day starts with power training at the gym, which is followed by an energizing session of Yoga. He loves to swim and enjoys adventure sports like paragliding, river rafting, and scuba diving. He believes that a healthy mind resides in a healthy body and thus, focuses to keep a healthy lifestyle, balancing it with enough amounts of work and play.